Mr. Tigue has spent his life in the Catholic Schools of the Diocese of Scranton. He attended Catholic elementary school and graduated from Bishop O'Hara High School, Dunmore. He received a bachelor of science degree in elementary education from Marywood University. He also received a Master of Science of degree in educational administration from Marywood University. 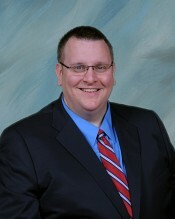 His professional certificates include a K-6 Instructional Certificate and K-12 Administrative Certificate. All of his 21 years of professional experience, both in the classroom and in administration have been with Catholic Schools. 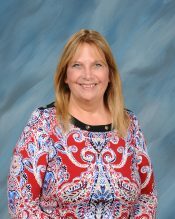 Mrs. Casey became St. Nicholas-St. Mary's Vice-Principal in 2017. Prior to working in administration, Mrs. Casey spent 33 years as the 6th, 7th, and 8th grade science teacher at Holy Rosary School in Duryea. Mrs. Casey earned her Bachelor's Degree in Elementary Education and Early Childhood Education from Marywood College and is finishing her coursework for her Principal's Certificate at Marywood University. Mrs. Casey is certifed in Elementary Education, Early Childhood Education and English as a Second Language Education.